When exam season rolls around and NEBOSH Certificate students are tasked with putting study into practice, it’s not unusual to feel nervous. Days and weeks of preparation being condensed into make-or-break exams can be a daunting prospect, which makes it all the more important to approach them with the right attitude and know what to expect. 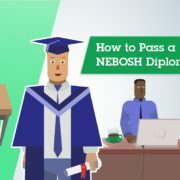 In line with our core goals of putting our students first and maximising their chances of success, SHEilds have prepared a summary video and NEBOSH Quick Reference Sheet on what to expect in your NEBOSH examinations; including an infographic timeline to prepare you, a rundown of ‘what ifs’ and a breakdown of exactly what to expect once you enter the exam venue. Getting started with a SHEilds eLearning course, you do not need to book your examination date when you enrol. You should be prompted by us at each exam registration period, being able to choose when you feel ready to sit the exams. Make sure you’re prepared by liaising with your SHEilds course advisor – You should liaise with them for details and advice on your local exam venues along with registration and sitting fees for each. At the start of your course create a ‘study plan’ to follow – Set an examination target date, breaking down how much study you can commit to each week. It’s a good idea to calculate a realistic target date for exam booking but you could adjust the date based upon how well you stick to your plan. Consider your personal feeling; how confident do you feel about the subject? Good grades and feedback during your course, tutor direction and success on exam readiness tests are also effective ways to gauge this. Above all, be realistic. Booking an exam prematurely will do far more harm than waiting till you are properly prepared. If you’re nearly ready to book your exam, get a head start – Depending upon whether you have changed your subscription preferences on the SHEilds eLearning platform, you can be emailed from the news and announcements forum of your course to notify you of upcoming exams. Be sure to regularly log in to SHEilds eLearning for up to date information. If you’re unable to use the online system for any reason then call the SHEilds examination team for support. Ready to book your exam? – You can call our team to be enrolled, book online or email our examinations team for any other related queries. Following your examination being booked we will list you for registration and you should receive exam entry confirmation showing the units and your venue. 3 weeks prior to your exam we will send you an agenda – This will highlight examination dates, the venue address and other important exam information. 1 week before the exam – Providing your eLearning account is set up too, you will receive a reminder email confirming examination details. There will also be a reminder post on the eLearning forum for your chosen course. What if I don’t have an allocated practical venue? – You should immediately contact your course tutors for advice on setting one up. What if I haven’t received my exam agenda? – If you have not received your agenda 3 weeks before your examination, then you should contact your exams officer to get a new set dispatched and your details re-confirmed. What if I lose/don’t have an entry slip? – Above all, don’t panic! Providing you have photographic ID and sign the candidate register for proof of signature you should still be able to complete your examination. What if I have transport issues and am unable to make it? 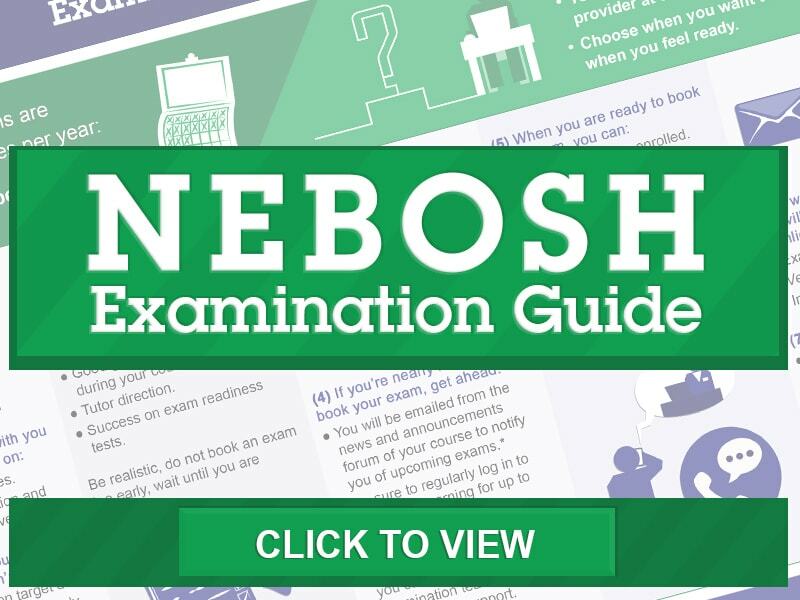 – If you cannot attend an exam due to a transport problem such as a breakdown, delays or an incident, you will need to send a detailed description to NEBOSH who will decide if a refund can be granted. What if I’m ill on the day? – Candidates who cannot attend exams due to illness, bereavement or armed forces posting may be eligible for a partial refund. If evidence is provided (e.g. a medical certificate) you can receive a 70% refund of your registration fee, however all sitting fees will be forfeited. Please refer to NEBOSH’s refund policy and procedure for more information. What if I’m absent for other reasons? -Contact your exams officer; absences unrelated to illness are reviewed on a case-by-case basis and NEBOSH only offer refunds under their policy or exceptional circumstances. What if I’m late to arrive? 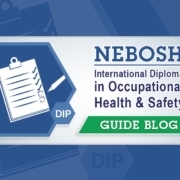 – Students may be permitted within NEBOSH regulation to enter the exam hall at the invigilator’s discretion however there are no guarantees. What if I finish my exam early? – Within the last 30 minutes of an exam, students are not permitted to leave unless they are the only student sitting. What if I want the toilet during the exam? – Use of the toilet is permitted however you will be accompanied by an exams officer or invigilator assistant. What if I want a refund? – If you fail to attend your examination without good reason refunds will only be covered under NEBOSH refund policy. What if I forget equipment? – Typically, NEBOSH certificate exams can be completed with just a pen, however depending upon the venue spare equipment may be available. Where do I send my completed practical? – This should be sent by email to practicals@sheilds.org or as directed by your course tutor. 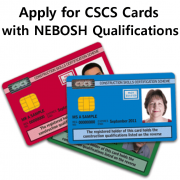 To ensure you’re prepared for NEBOSH Certificate Exams, it’s important to know what to expect when you sit. What is the format for each exam? 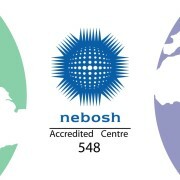 – NEBOSH Certificate exams take the format of 10 short answer questions and 1 long answer question. What do I need to know about the answer book? – Your name and student number should already be on the front page, however you will need to write the relevant question number on each answer page. You do not have to answer the questions in order and can write on both sides of the page, but always start each new question on a new page. How early should I arrive before my exams? – You should aim to arrive at least 30 minutes prior to your examinations start time but we recommend you allow 1 hour to be safe. You will be allowed to enter the examination room and be seated 15 minutes before the exam starts. At least one clock will be displayed in your venue – This will be at the front of the room, with potentially more in full view. 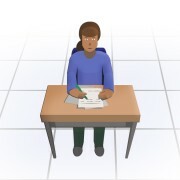 How do I know where to sit in the exam? – Usually there will be a seating plan outside the examination room but if you are unsure you can ask an invigilator or assistant for help. Exam entry confirmation slip & photo identification – You will receive an exam entry confirmation slip before your agenda which you should bring with you on the day of your exam. You must also bring photographic ID with you to the examination. Failure to produce this may prevent you from sitting the exam and will be dependent upon satisfying the invigilator of your identity. What can I take into the exam with me? – The only absolute essential to bring for a NEBOSH Certificate examination is a working pen and a spare. Water is also advisable to remain hydrated, however it must brought in a clear plastic container. With all that, the entirety of SHEilds wishes you the best of luck in your examinations and future successes!